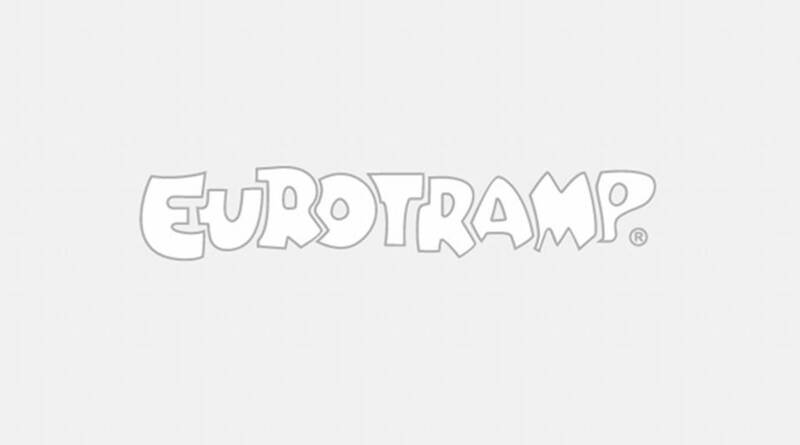 The all new Mats Tramp was designed by Eurotramp especially for kindergartens and day care facilities. With respect to form and function this trampoline meets exactly the special needs of the above mentioned facilities, thus it can be integrated perfectly into already existing types of play. The trampoline is mounted at grade into a big gym mat which prevents any accidental jumps or drops on to the hard ground. 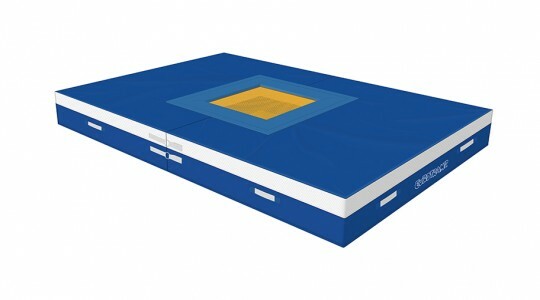 The characteristics of the jumping bed are perfectly secure adapted to a child's needs. The cover of the elastic cable which replaces the springs for security reasons is attached to the gym mat by high quality velcro and to the jumping bed by rubber cable. There's no possibility for a child to reach underneath the trampoline. The gym mat was designed foldable for better stowage and easy transportation. If required the Mats Tramp can also be used as a simple gym mat by simply removing the trampoline and replacing it by a small mat of the exact dimensions of the inner cavity. The Mats Tramp is easy to handle for anyone and converted into a simple gym mat in only a few seconds.